In the bowels of the Peninsula Shopping Centre in Singapore are several guitar stores. 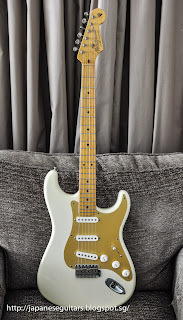 Hiding out in one was this Japanese ex-pat guitar, VanZandt stratocaster homage number 1833. 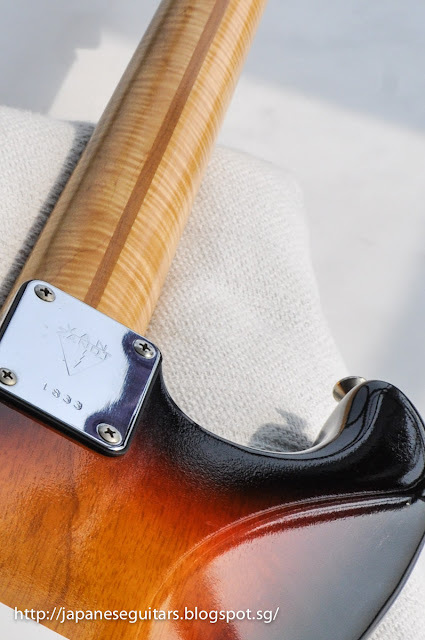 Beautifully done thin nitrocellulose lacquer finish on a one-piece lightweight ash body. The flame-maple neck is has a fat C-shape and is also done in a thin nitro finish. 7 lbs 3 oz. I haven't had the guard off yet but assume that it has VanZandt pickups. Fullertone pickups were used in some models. 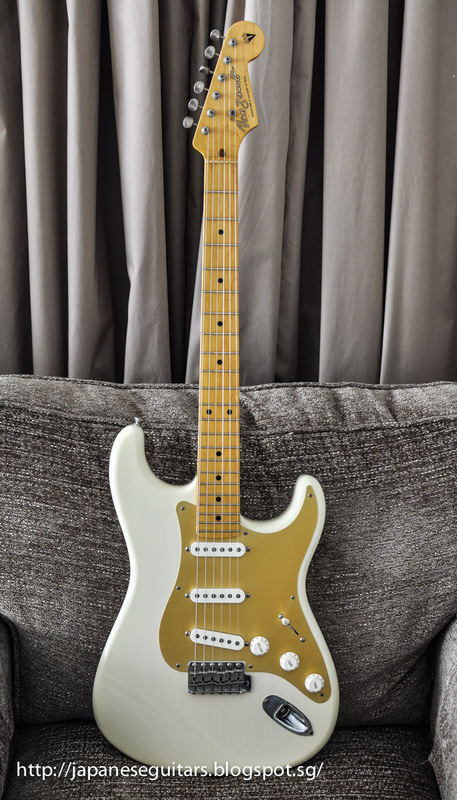 I ended up trading the blonde VanZandt and a couple of other guitars for this one. Sad to see blondie go but it was a great introduction to VanZandt guitars.